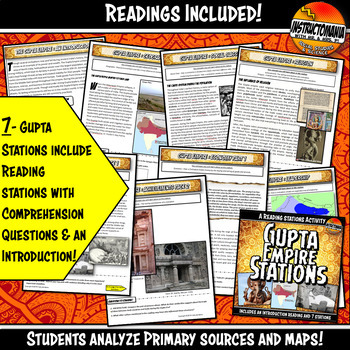 Get your students investigating history with this versatile document based questions activity for The Golden Age of Ancient India- Gupta Empire Achievements. 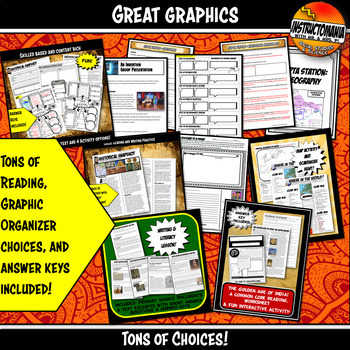 This Common Core bundle has a mini-DBQ that is designed to get students analyzing primary and secondary sources in small, compressible chunks. 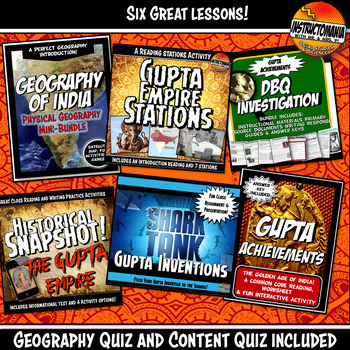 India Geography Bundle that Includes 5 activities and a quiz! ©Instructomania, Inc. All rights reserved by Tony and Erika Pavlovich. This product is to be used by the original downloader only. 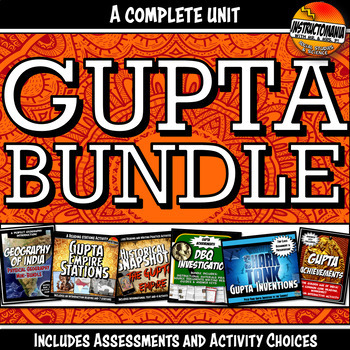 Additional teachers must purchase their own license. If you are a teacher, principal or district interested in purchasing several licenses, TPT now offers multiple license options.